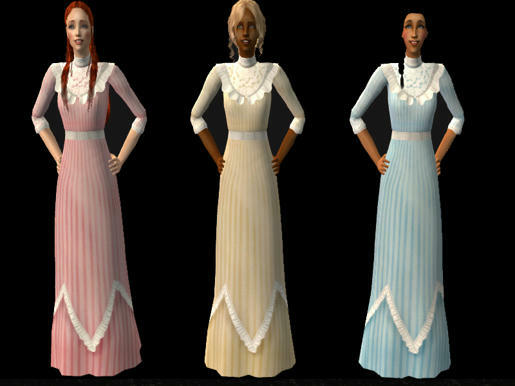 Remember the pastel Edwardian dresses? 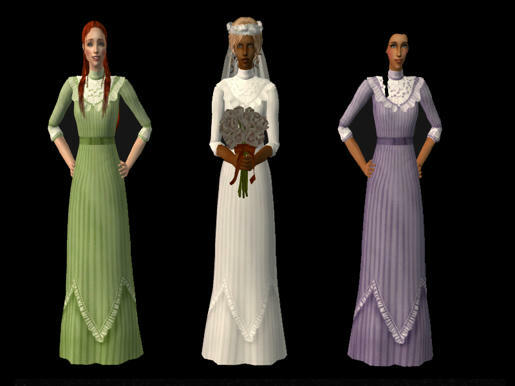 They were in slightly different colours for each skin tone, but you could only wear one - Sims 2 and an infinite capability for recolours means an end to such shameful wardrobe segregation. 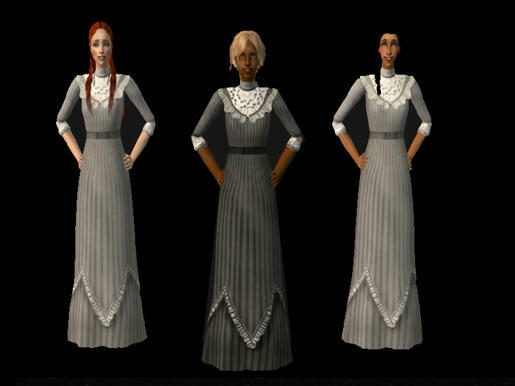 Recolours for all! 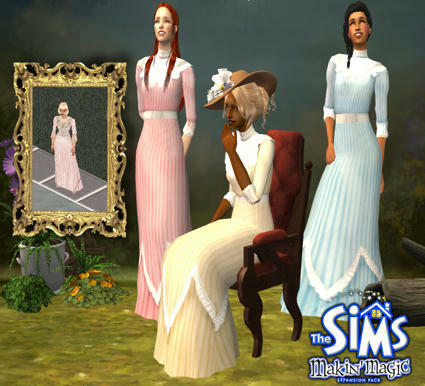 First off, the original Makin' Magic pastel colours - cream, pink and blue, as worn by umpteen Sims wandering around Magic Town. Skell for the teen conversion mesh. Beautiful! And I love all the color options. Thank you.